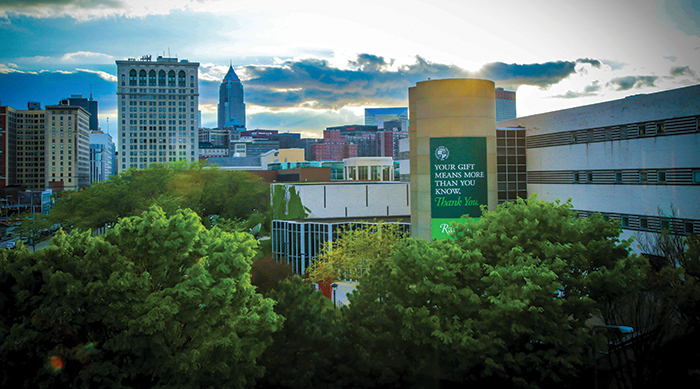 Publicly launched two years ago, ENGAGE: The Campaign for Cleveland State University, was the first-ever fundraising effort of its kind for the University. Its ambitious goal: $100 million to support student success through scholarships and expand the many initiatives already in place to help students stay in school, graduate and use their knowledge and skills to succeed in their careers and in their lives. Co-chairs Monte Ahuja, chairman and chief executive officer of MURA Holdings LLC, and Don Washkewicz, former chairman of Parker Hannifin Corporation, are both proud alumni who credit their education for their successful careers. A delighted President Ronald M. Berkman said, “We are thrilled with the campaign’s success and couldn’t be more grateful to everyone for their support. For many students, a scholarship is the deciding factor in attending college, staying in school and graduating. It’s heartbreaking when academically sound students fail to complete their degree because of finances. 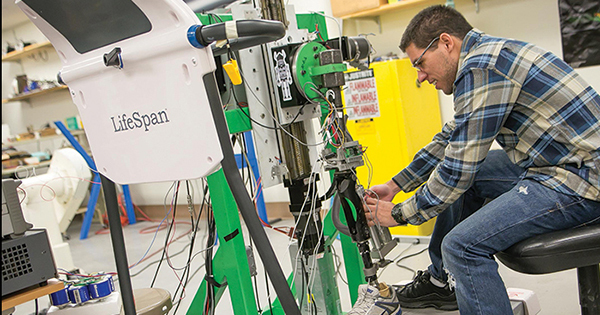 Private support enables students to focus on their studies and career preparation, strengthening Northeast Ohio’s workforce and tomorrow’s leaders. For the third consecutive year, generous donors helped Radiance: CSU Realizing the Promise achieve more than $1 million for scholarships. In fact, this year’s fundraising event set a record of $1.3 million. “You are giving our students the opportunity to graduate from college and succeed in life,” President Ronald M. Berkman told a crowd of some 500 attendees at the seventh-annual Radiance event. As part of the festivities, Dr. Berkman awarded the President’s Medal, the University’s most prestigious nonacademic honor, to Rick Chiricosta, chairman, president and chief executive officer of Medical Mutual of Ohio. Since its inception in 2011, Radiance has raised more than $6.1 million. Through this academic year, more than 1,520 scholarships have been awarded to keep students in school and on track to graduation. Thank you for helping us shatter records and expectations on the biggest and best Giving Day ever at CSU! Our goal for this annual online/social media event was to engage 650 donors – we surpassed that goal by mid-afternoon. We continued to set – and surpass – new goals and by the end of Giving Day, 1,260 alumni, friends, students, faculty and staff had come together to support CSU in just 24 hours. This outpouring of generosity helped raise over $126,500. We couldn’t have done it without you. Giving Day is an opportunity for donors to support their favorite College or program. 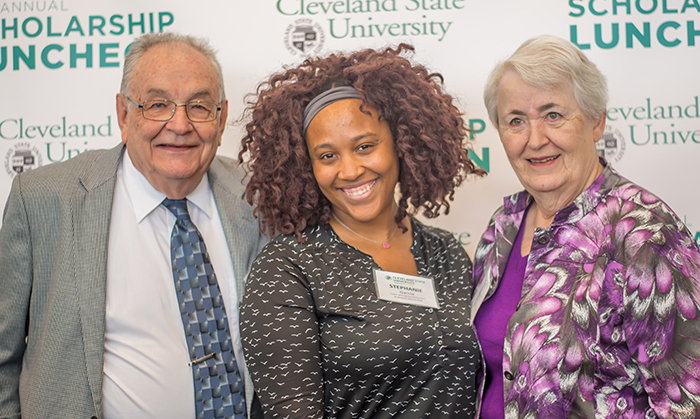 The life-changing power of philanthropy was celebrated by students who have received scholarships and benefactors who make those scholarships possible at CSU’s annual Scholarship Luncheon. Featured speaker was Tom Adler, a founder and co-chair of Radiance: CSU Realizing the Promise and a member of both the CSU Board of Trustees and the Leadership Cabinet for ENGAGE: The Campaign for Cleveland State University. He and his wife, Joanie, recently made a $1 million gift to CSU. Antonio Levert, a health sciences/pre-medicine major, shared appreciation for his Sullivan-Deckard Scholars Opportunity Program scholarship. The program provides financial support, mentoring and educational experiences specifically targeted to students aging out of the foster care system.